Original photo, approximately 14 x 8cm. 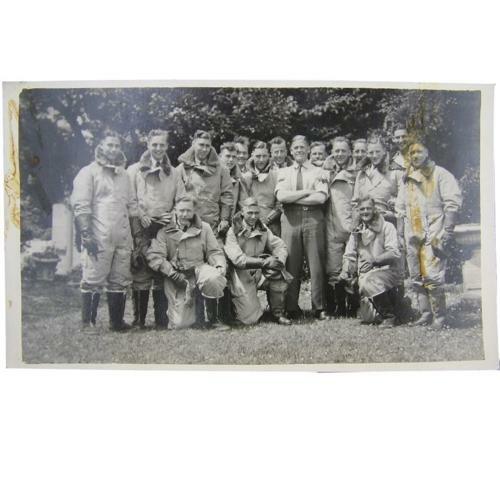 Shows a group of airmen, probably newly recruited, in pristine 1930 pattern Sidcot flying suits, 1939 and 1940 pattern flying boots, 1933 pattern gauntlets and early C-type helmets. This probably dates to early 1941 or thereabouts. Some staining. Printed on a Sunbeam Photo Ltd. postcard (trimmed). Stock code P22873-113.